What it is: A set of 10 lightweight makeup applicator brushes including shapes specifically for foundation, eyeliner, lip colour and more. 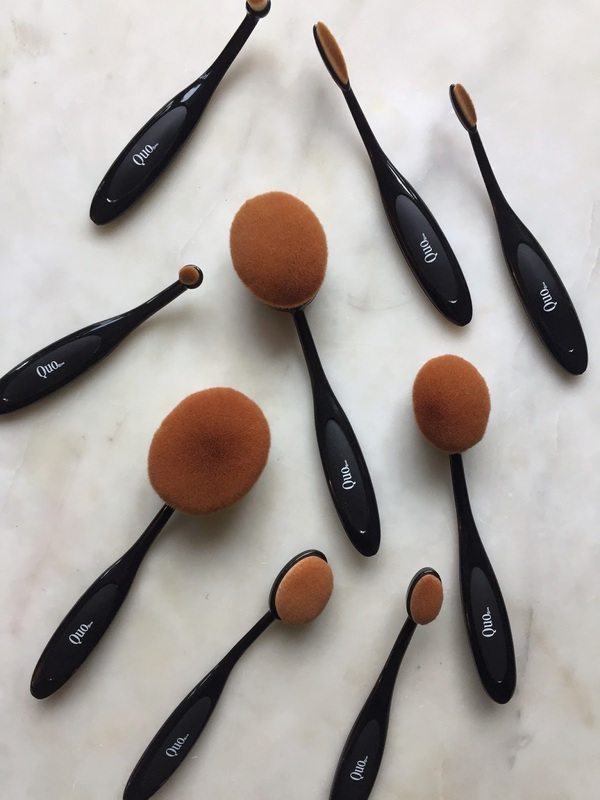 Beauty bonus: At $79 for the set, the brushes average out to less than $10 per piece! Beauty bummer: The plastic handles feel a bit fragile. But, so far, so good! Overall: I'd long been eyeing pricier versions of these handled makeup brushes, but wasn't sure whether or not to splurge. So, when I saw this value-priced collection, I knew it was time I tried them out. The variety of brush shapes and sizes is impressive — and I love the soft synthetic bristles. I applied my makeup with these brushes the first day I got them, and haven't gone back to my usual blending sponge since. For foundation, the brushes leave skin with a buffed, almost airbrushed appearance. While, when I used a smaller brush for concealer, I found I used a lot less product to get the level of coverage desired. If you've been wanting to try this style of brush but have balked at the price of some brands — don't hesitate to grab this set before you're gone.